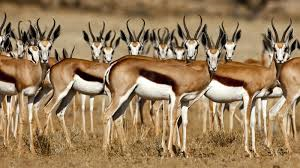 The Springbok is the most famous of all the buck in South Africa as it is the emblem for the national sports team and most importantly the national Rugby team. The term Springbok is synonymous with strength bravery and determination for most South Africans. Fittingly it is also the national animal of South Africa and is found in our coat of arms. Springbok inhabit the dry inland areas of south and south western Africa. The hooves and horns are black. Males have thick horns about 35–49 cm (14–19 in) long, while those of females are thinner and shorter than those of males. In the other two subspecies there is no significant difference between the horns of both sexes. 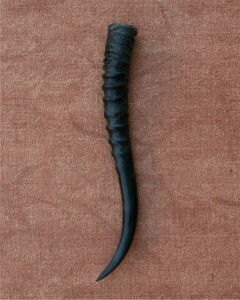 The hollow horn has an interesting texture and works well as a knife handle. The male horns can be used on hidden tang knives and the flat block sets made from the Male Springbok horn looks great as in lays or as handles on smaller knives. 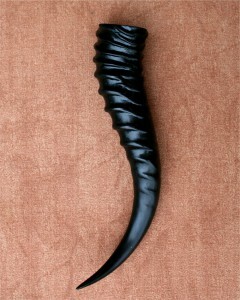 The smaller female horn is perfect for projects like key rings and letter openers. 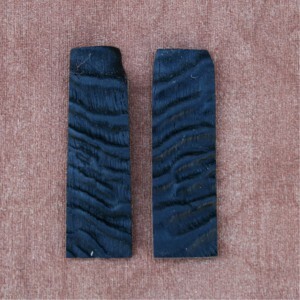 Please go to the categories to see what we have available.